Having a relationship in life is like a blessing. Your relationship will become interesting and happening if you propose your lover in a unique way. Your uniqueness of proposal shows your thinking skill. Unique ideas of a proposal will bring charm in your monotonic life. The unique proposal will bring a spark in your relationship. Giving surprise to your partner is like making her feel special. So always try to make her feel special. Now here are some unique ideas are given which you can apply in your life and make your partner feel more and more special. Reasons Why One Need To Go For Love Marriage. Print a t-shirt where you will write your feelings in small sentences. A very easy thing you can say but only you are not alone going to wear it. Print that t-shirt not only for yourself but also for those who are close to her. When your partner is in her or his office, wear that t-shirt and straight go to her and see how she will love your idea. You can make a permanent tattoo on your body. Write your partner’s name or the first letter of her name. This will make her surprise and then just propose her. By this you will make your partner the happiest one on the earth. Take your partner’s family and friends in a picnic. There in front of everyone tell her your feelings. She will be amused by your activity and will say a big Yes to you. Throw a party on the birthday of your partner and invite all her friends and family. You will take her there early as you will say her that she has to see the decoration. When she entered in the party place, throw red roses on her and propose her. Order a fountain cake on a theme of your proposal. Tell the chef about your theme and make it like the way you want and yes do not forget to write your name. Then send it to your partner’s address and you also go to her place with the cake. Hide when the delivery boy gives her that cake. See her expression when she found that how much you love her. Make a word puzzle for your partner by yourself where it is written: “will you be mine forever?” Tell your partner to solve the puzzle. After solving that puzzle ask her what is her answer. Play the treasure hunt game with her. At the end of the game, she will find your proposal where it is written: “will you marry me?” Start your clue from your house and end it in her favorite place. If your partner is a radio lover then this idea is best one for you. Go to the radio station, talk with the management department, and tell them that you want to propose your partner by radio. They will be flexible about it. Just take her name, say some memorable moments you spent together and then propose her. Who does not read newspaper early in the morning? You can publish your proposal in the newspaper. You can take one full page for the ad there you write your feeling and yes do not forget to publish your and your partner’s name. Take her to the Disneyland. There do the rides with her and at the end of the day do the dress up of a character which she loves the most. Then propose her with full love. Beach is the most romantic side we can say. 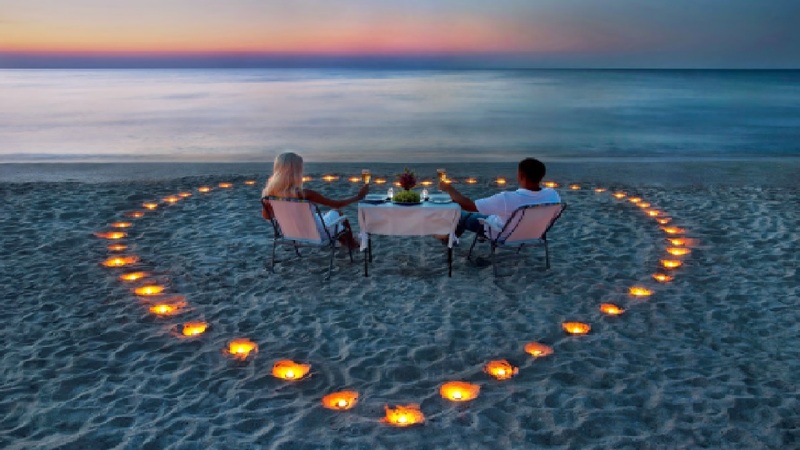 Take her there enjoy the time and make a sandcastle together. Tell your partner to bring something for you on that time you can keep the ring on the top of the castle when she will see that she will understand everything. If you are a good singer then your work is almost done. Write a song on how you fall for her and how she becomes your life. Prepare that song. One fine day in front of everyone sing that song for her and propose to her. Bringing smile on your partner’s face is the motive of a relationship. The relationship is very special for life. It’s completed your life and makes your life more beautiful.